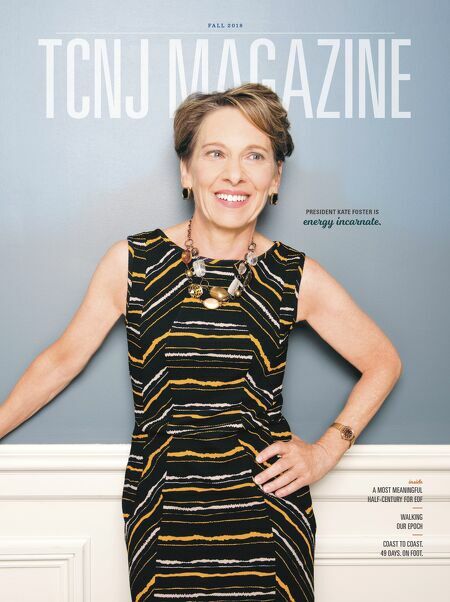 TCNJ MAGAZINE F A L L 2 0 1 8 inside A MOST MEANINGFUL HALF-CENTURY FOR EOF WALKING OUR EPOCH COAST TO COAST. 49 DAYS. ON FOOT. PRESIDENT KATE FOSTER IS energy incarnate.